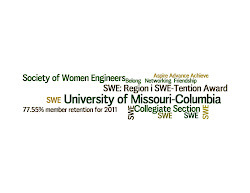 Mizzou Society of Women Engineers: We're going to start using the BLOG again! We're going to start using the BLOG again! We are going to start using this blog again for the 2014-2015 School Year! Get excited to have all your SWE updates in one place again!